Calling all park-lovers! Spring is here! 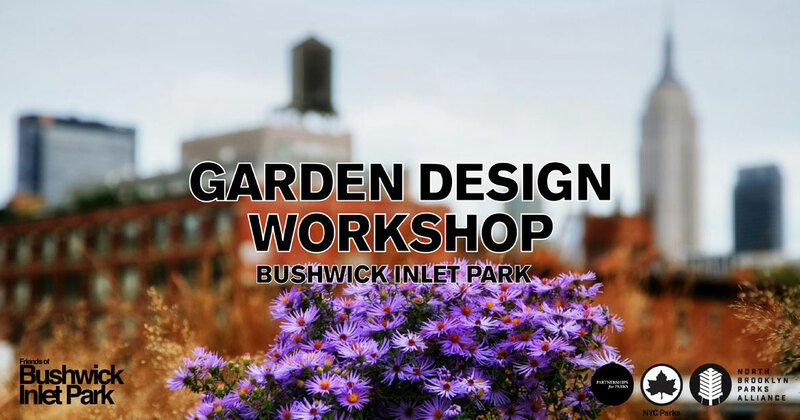 Join us this Saturday for a workshop to design the gardens at Bushwick Inlet Park. This spring the planters by the park’s waterfront will be reinvigorated through our BIP Garden Initiative. The gardens will be designed in this hands-on afternoon workshop where we’ll discuss opportunities for the area, community and ecology-friendly principles, and together design the gardens that will be planted later this Spring. The workshop will be lead by Emily Bauer, a landscape architect and community-member. There will be snacks and coffee for all. Stay tuned, later this Spring we’ll install the garden designs during a community planting day. Please RSVP for free below.